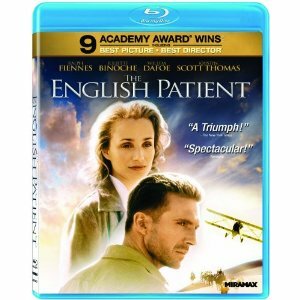 WorldMovieStore - The English Patient Sinopsis. Winner of 9 Academy Awards® including Best Picture, Best Director (Anthony Minghella) and Best Supporting Actress (Juliette Binoche), THE ENGLISH PATIENT is a "fiercly romantic" (THE NEW YORK TIMES) epic where love knows no boundaries. During World War II, a mysterious stranger (Ralph Fiennes) is cared for by British allies unaware of his dangerous past. Yet, as the mystery of his identity is revealed, an incredible tale of passion, intrigue and adventure unfolds. Also starring Kristin Scott Thomas, Colin Firth and Willem Dafoe, this powerful motion picture is an experience you will never forget. Read More Sinopsis. 0 Response to "Blu-ray Release The English Patient"